Fresh and funny, this perfect gift for new mothers is a refreshingly different guide to breastfeeding. Packed with hilarious and stylish graphics, it will entertain the rest of us too: partners, friends and anyone who has ever wondered how it all works. 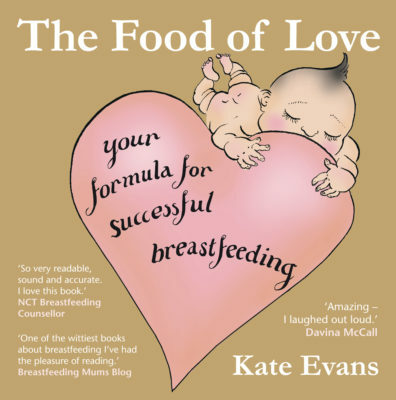 A perennial favourite with breastfeeding counsellors and those working with new mothers, The Food of Love has the support of the professionals as well as of Kate’s many fans. 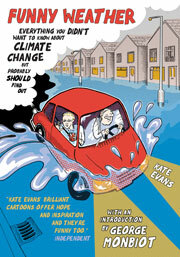 Kate Evans is also the author of Funny Weather (Myriad, 2006) and Bump (Myriad, 2014). The least patronising and most empathetic parenting book I've read. It makes breastfeeding feel normal, achievable and enjoyable. Vibrant, exciting, funny – and based on up-to-date research. I love your book! Very well-written and researched - and great drawings too. If you're looking for a great gift to give an expectant mother or a new mother who is breastfeeding, then this is the one. Amazing - I laughed out loud. 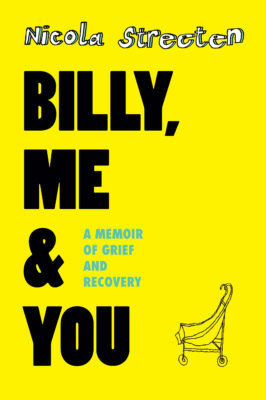 Reading this book really does feel like chatting to a friend. A funny, handy guide... Full of practical tips, it will meet the needs of many new mums and be of use to breastfeeding counsellors, antenatal teachers, midwives and health professionals. 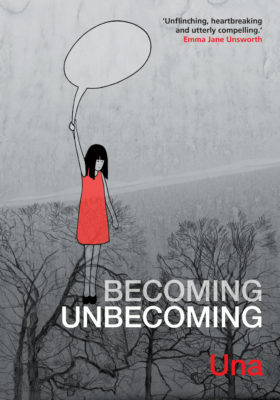 Beautiful to look at (the cartoons are wonderful); informative and – best of all – funny. More like a chat over a coffee with a good friend than a text book... The NHS should provide every pregnant woman with a copy. Delightful... sound and accurate – [Kate] uses research-based evidence as well as personal experience... it is truly mother-and-baby-centred. The least patronising and most empathetic parenting book I've read. It makes breastfeeding feel normal, achievable and enjoyable. Funny, supportive, packed with up to date information, it celebrates motherhood without glossing over the sometimes difficult realities. I would definitely recommend it to any new mother. One of the wittiest books about breastfeeding I've had the pleasure of reading... extremely well-written and bursting with thoroughly researched breastfeeding information. Covering everything from the first feeds to co-sleeping, it explains all you need to know about breastfeeding in a very comforting and inspirational fashion. A fabulous read... If you're looking for a great gift to give an expectant mother or a new mother who is breastfeeding, then this is the one. A funny, handy guide to help new mothers enjoy their baby and a valuable addition to the existing literature. Cartoon drawings successfully convey the message that breastfeeding is lovely and easy, yet Kate Evans also includes the latest facts and research surrounding breastfeeding as well as a useful section on further resources and references. Full of practical tips, it will meet the needs of many new mums and be of use to breastfeeding counsellors, antenatal teachers, midwives and health professionals. I love this book. It is refreshing in so many ways: beautiful to look at (the cartoons are wonderful); informative and – best of all – funny. I genuinely haven’t been as excited about a breastfeeding book since Fresh Milk. 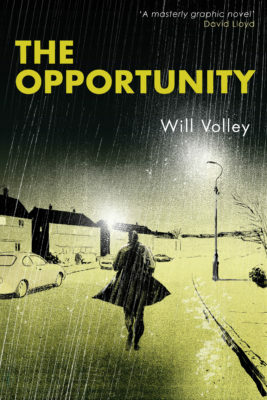 'What a fantastic book! 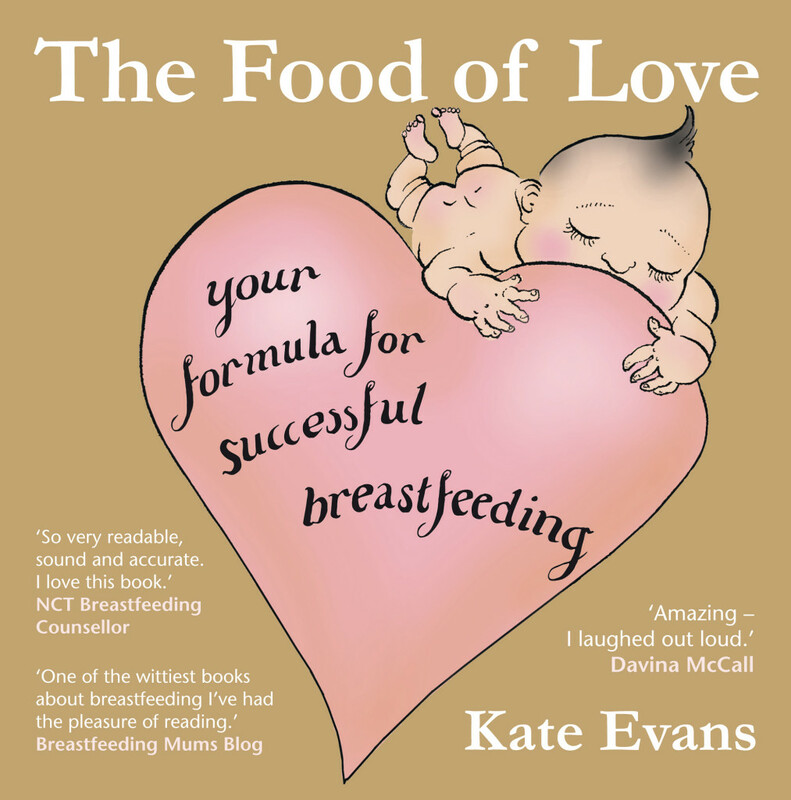 More like a chat over a coffee with a good friend than a text book, Evans' approach – although completely pro-breastfeeding – is totally non-threatening or 'preachy' and is packed full of really useful advice and tips. The NHS should provide every pregnant woman with a copy. Delightful... genuinely hard to put down, because it was so very readable. 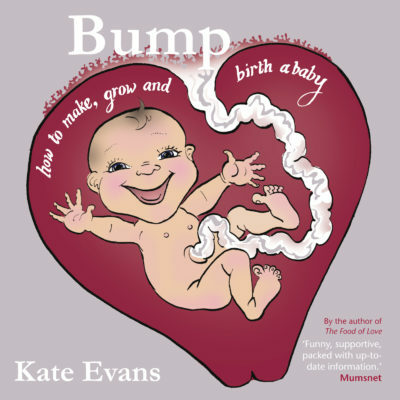 Kate’s book is also sound and accurate – she uses research-based evidence as well as personal experience and shows how many mothers cope with a variety of initial difficulties and overcome them. As a breastfeeding counsellor and trainer of peer supporters I love this book – it is truly mother-and-baby-centred.